Easter just wouldn’t be the same without an Easter Scavenger Hunt! 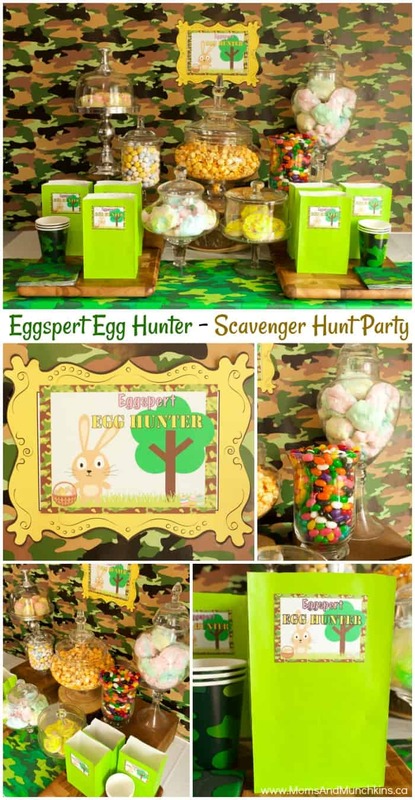 I’ve given this classic party theme a fun twist with a camouflage Eggspert Egg Hunter design. 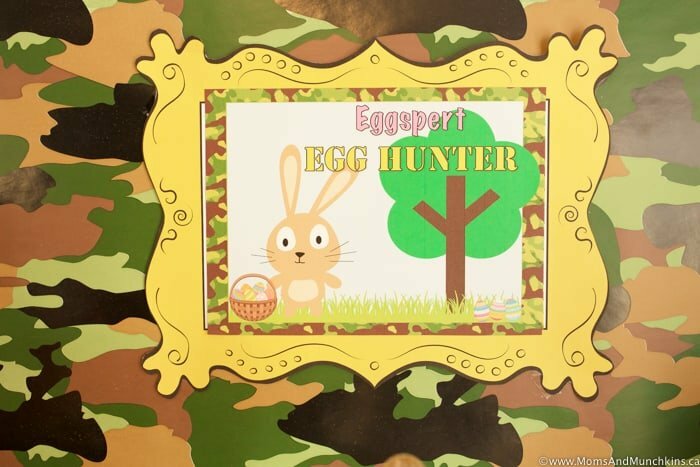 This party includes lots of camouflage accents, wooden “outdoorsy” decor, and our free printable Eggspert Egg Hunter printables. Let’s not forget all the delicious treats! 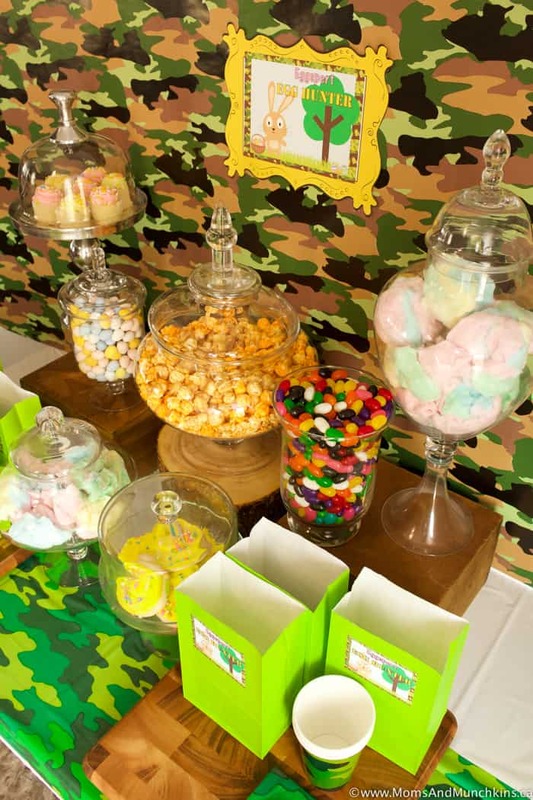 A party just isn’t a party without a sugary dessert table and this party is no exception. 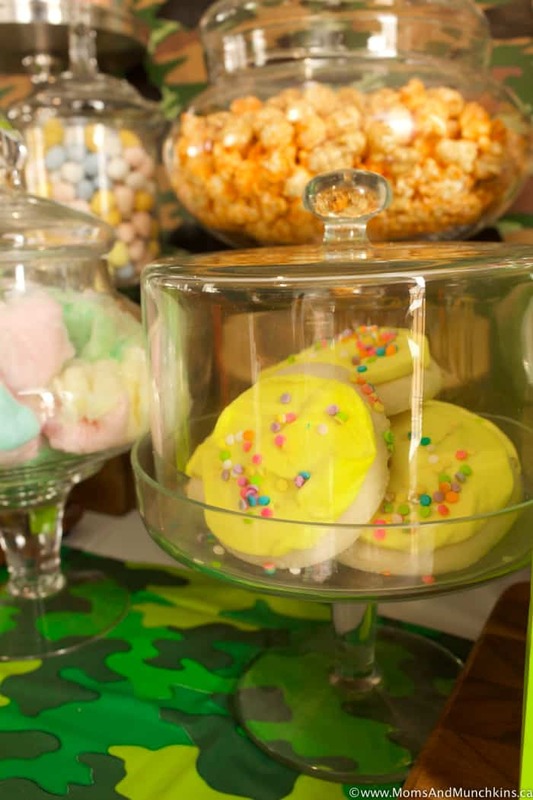 So let’s hop right into all the party details! 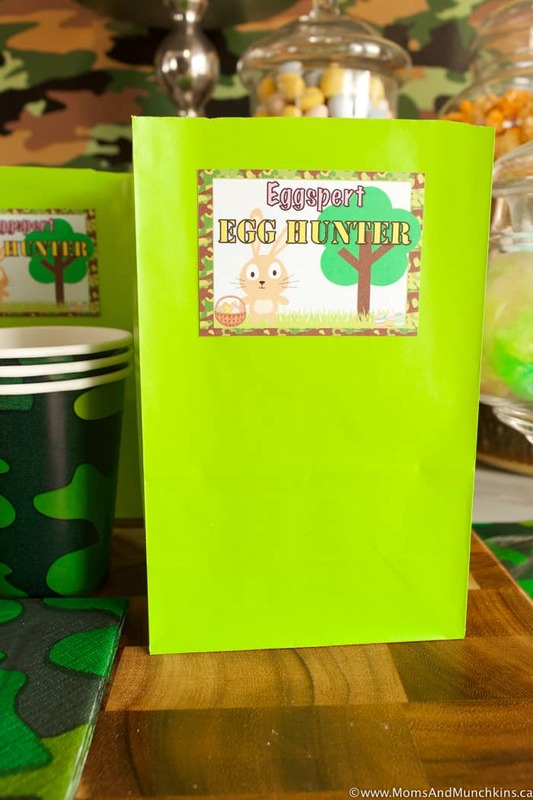 First up, we have our free Eggspert Egg Hunter printables – includes one larger sign for your party table and some smaller tags you can use to attach to favor or treat bags for your candy buffet. 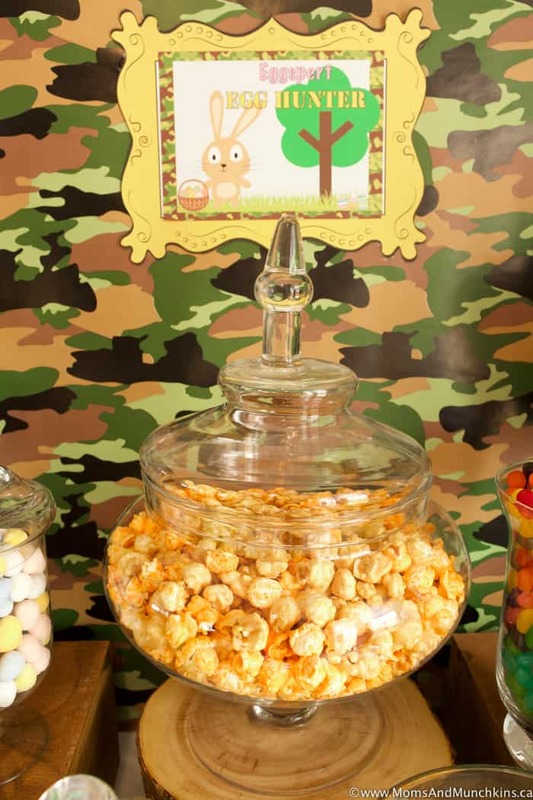 Candy buffets can be expensive to fill so you may want some larger items that fill those candy vases for less – like cotton candy and sweet popcorn flavors. I threw in some classic Easter treats as well like jelly beans and chocolate eggs. 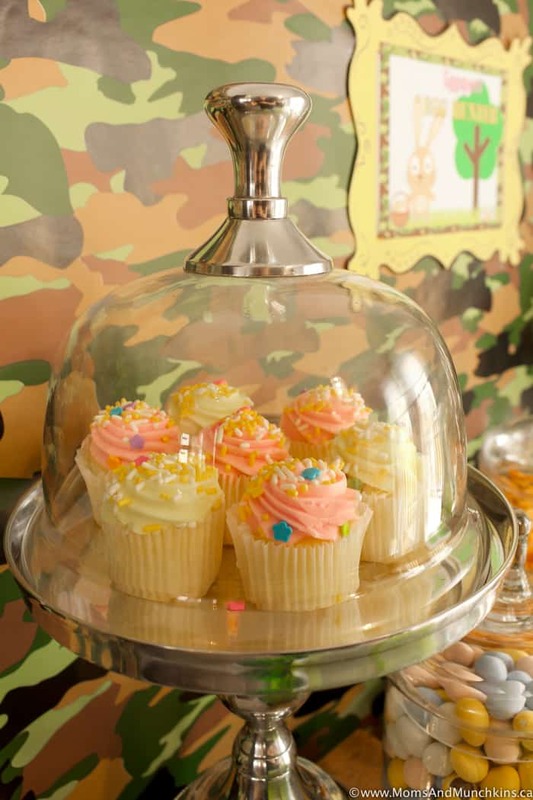 Then we finished off the sweets table with mini cupcakes and frosted sugar cookies – because there’s no such thing as too much frosting! Now it’s time for the game ideas! 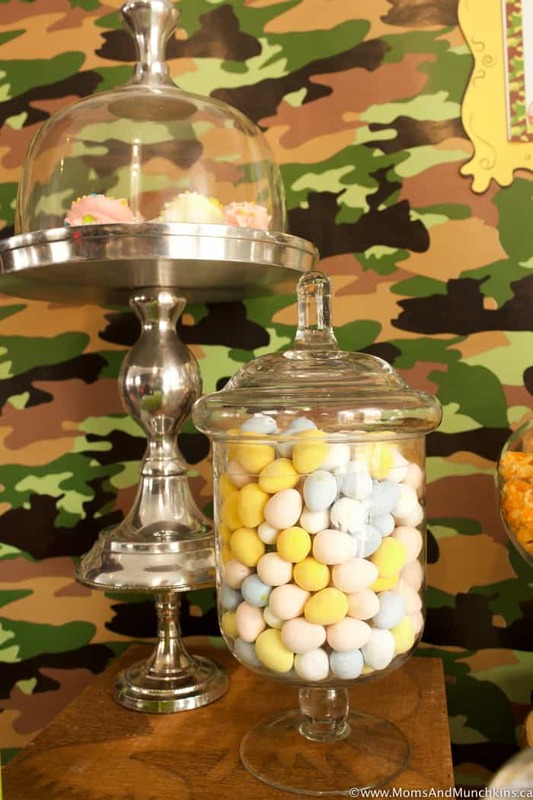 For this Easter Scavenger Hunt party, you could give every little egg-seeking detective some supplies like a basket with binoculars, a mini shovel, sand sifter, plastic water canteen, etc. 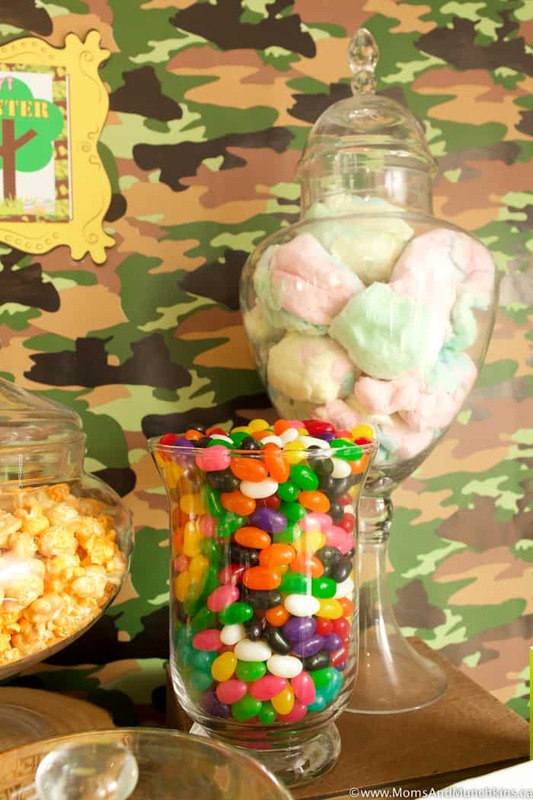 These could double as party favors as the guests could take these home after the party. Need treasure hunt ideas and printables? Don’t forget to visit our Easter Activities page for even more fun ideas, activities, free printables, treat ideas and more! 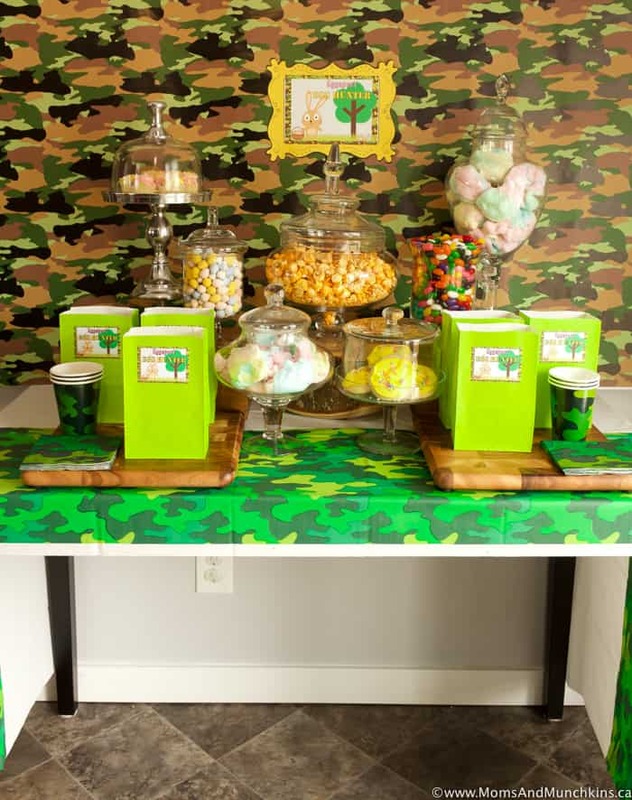 We’re always adding new ideas for family fun! Never miss an update by following us on Facebook, Twitter, Pinterest, and Instagram. Digital clipart and paper provided by: Pixel Paper Prints, Yarko Design, Erin Bradley Designs, and Happy Heart Studios. what an adorable party! love it! You are just the queen of fun! Such adorable ideas.